I race mostly Retro, with a little bit of Falcon LMP, JRL, GT12 and occasionally Eurosport, and while I don't think this controller will handle the amperage drawn by Euro motors, I have run pretty much everything else with it, and it handles them with no issue. The build quality is amazing, especially when one considers that everything has been specially made, Truspeed use their own handle and all the other parts are purpose built to fit that. The wiper system is unlike anything else I've seen, no moving wires, and multiple wiper fingers, so dirt is a lot less of an issue than with a single wiper button. Trigger action is super smooth, with adjustable tension and throw, and then there are 5 knobs on the control box along with two more on the handle. These provide more settings than I ever thought I needed, but I quickly realized that they help enormously. I find the Acceleration setting very useful with Retro cars and some 1/32 scale cars to tame down chatter or a drift when accelerating hard out of a turn. 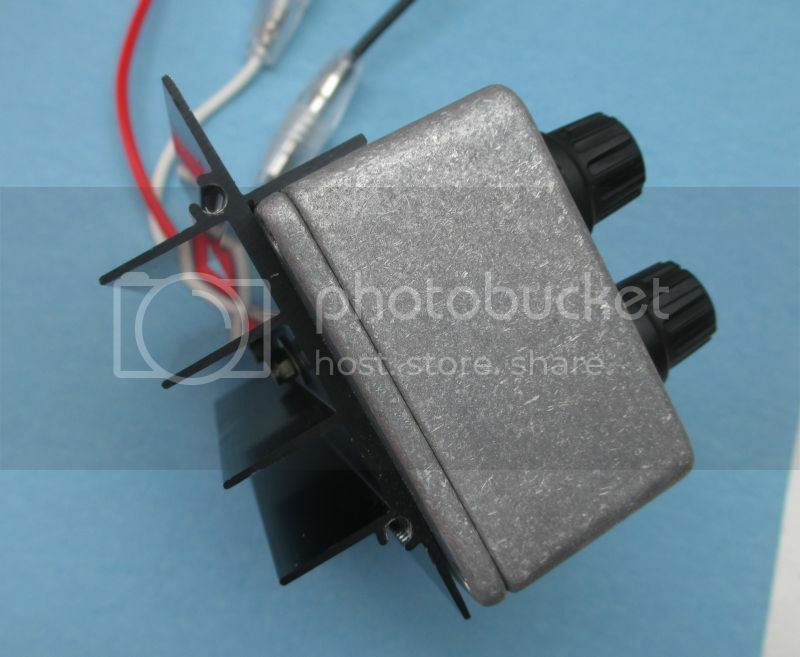 The Brake hold is similar to the Brake and Release that Jaygee has on the Linear 200, otherwise the regular brake settings work like a Ruddock with discreet steps rather than a pot. 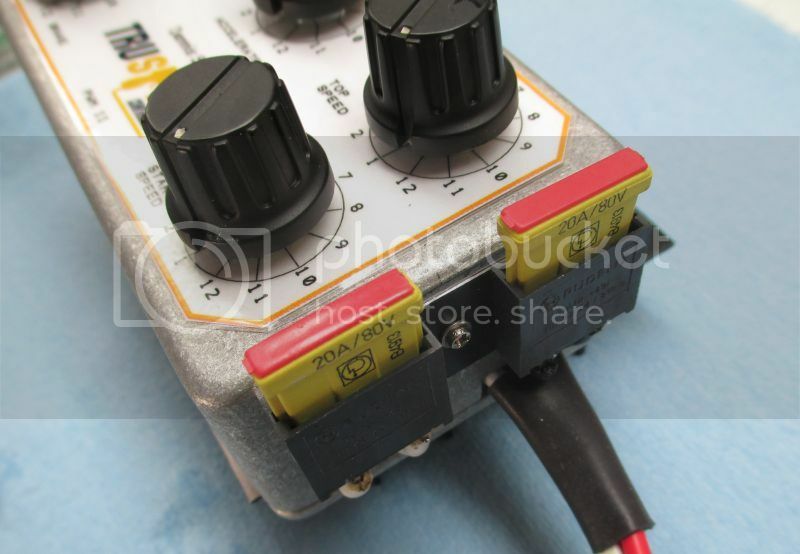 The sensitivity is similar, and the Speed knob works like a voltage choke on other controllers. There are a few things that require a bit of work. In the UK, the controller is supplied with a built-in 3-pin plug, so there's no chance of connecting up wrong. 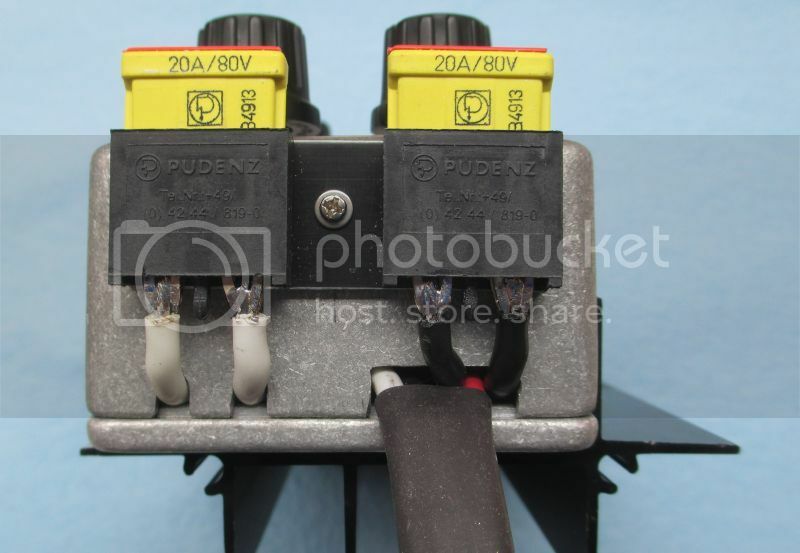 For the US market, the controller is suplied with fly leads and these have inline fuses in them, but we all know that fuses don't always protect the transistors (MOSFETs in this case), so be careful when connecting. The control box is a good thick aluminum construction, but has no provision for hanging off the siding of the track or the drivers' panel, and no extra heatsinking or fans. 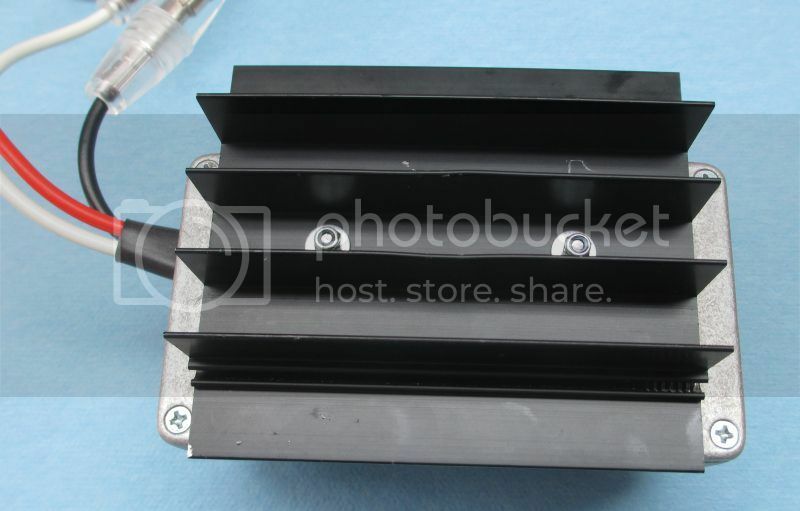 I attached a heat sink to mine and use that for hanging it on the track. I will post a photo if anyone is interested. Currently, these controllers are only available by direct order, but Steve Hills, who is "Mr. TruSpeed", is very approachable and helpful. He also has a number of other (cheaper) versions in his range, more focused on the UK 1/32 scale market I think. Funny you mention this today, we actually have 2 of them up here in Spokane. They are on their way back from Steve after getting upgraded and repaired. The little bit of time I had with mine before sending it back I really liked it. I'm looking forward to getting mine back and using it again and really getting into all the settings. Can you post some pics of yours with the heatsink so I can see how you are hanging yours? Last edited by compman25; 08-15-2014 at 12:23 PM. Sure, I will take some photos tonight. They are on their way back from Scott after getting upgraded and repaired. Do you mean Steve,or is there someone else servicing these in the US now? Scott, Steve, all the same, they both start with an S! I fixed it. Thanks for the pics, that was the only thing that bugged me, but with the controller using a telephone cable that plugs in at both ends I was going to just get a longer cable instead of figuring a way to hang it, now I might attach a heatsink instead. How have you liked using the controller? I like the controller a lot although I have very little trigger time so far. I have some different fuse holders on order to change out the inline holders for something I can mount on the side of the box. Looks interesting. What is the price range? The MSRP is 230 pounds sterling, with 15 pounds shipping. When I got mine, the exchange rate made that about $425, but that could of course vary. There's no US-based support yet, although TruSpeed have apparently been talking with a guy up in Santa Cruz, CA. But I have not seen any marketing or promotion effort yet, and no website that I know of. So for now, everything has to go through Steve Hills in the UK. He is a real nice guy, very helpful and approachable. What he has done with limited resources to produce this controller is pretty amazing. Does Curt Lewis have a website or a contact email address? 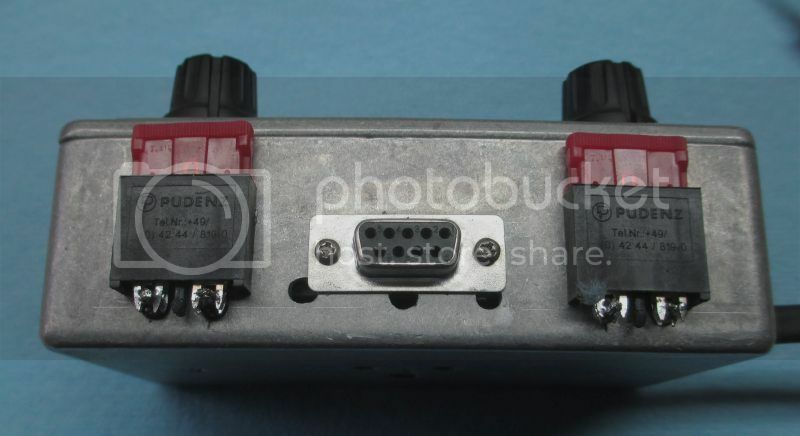 I want to ask about extra trigger extensions and other spare parts, as well as to be able to direct others to him that are interested in these controllers. I have a PWM 1 as well, and had the same issues as you did with blowing the original MOSFETs when running higher-current motors. I replaced them myself once and then sent the controller to Steve for the higher capacity MOSFETs and inline fuses. I still use it a lot for Retro and for 1/32 scale, although now I have the PWM2, I may want to sell the PWM 1. So if you hear o fsomeone looking for one, please let them know I have one. It's important not to hook these up wrong, like most other controllers. I have had a brain fade and done that and the MOSFETs pop just before the fuses blow! I tested my PWM 2 yesterday with Contender and X12 motors, and it worked really well, stayed ice-box cool. I'm still trying to work through all the various settings, there are so many interdependent things that can be adjusted. Just sent you the info I have from Curt. Looking forward to getting mine back tomorrow. I made some mods to my PWM II this weekend. As shipped the black and white wires have inline fuses in them, which I do not like much, as they are bulky and unreliable. I wanted to be sure I could still open the control box if needed without desoldering anything, so I made up a little plate to mount the fuse holders that screws to the control box. Then I cut some new holes in the box to let the wires out to the fuse holders and back in again, eventually everything re-emerges from the original hole. 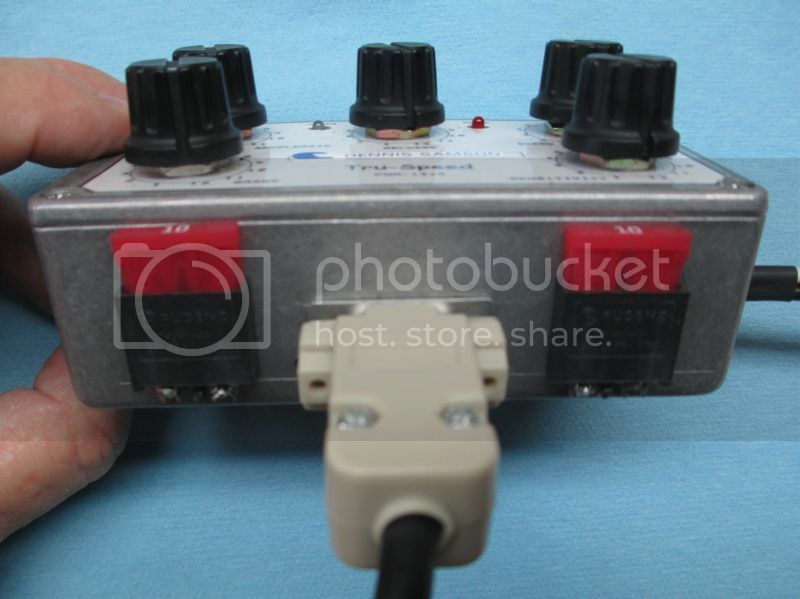 I also modified the controller lead to give it a plug, so it can be detached like the PWM2, and moved the fly leads out the side of the box..
Last edited by gascarnut; 09-03-2014 at 08:28 AM. After our final race in Oct I think I'm going to be sending you some business! I really like the way you did the fuses. Dennis, where did you get those fuse holders. I am looking to find a small fuse holder to add them to the circuit board like Gonzo did. His was too big but a smaller one would work well. Let me know when you are ready and I will get the bits together.